I’ve gone in to “last time” mode. On Wednesday when I started writing this newsletter I had 162 days to go until I set off for distant shores. Not-too-distant canal banks actually, but you know what I mean. When I installed a countdown app on my phone there were 210 days to go before the Grand Cruise and my target date seemed a lifetime away. Now, in the blink of an eye, 25% of the remaining time has elapsed. It’s a very exciting time for me. Sally too probably, but she’s keeping the excitement to herself. In the meantime, it’s work as usual. On Monday Rob helped me load one of our two 150lb three wheeled mowers onto the cruiser stern of an available hire boat, set the two locks for me as I took the boat down into the marina, and then helped me lift the heavy mower onto a very slippery island jetty. I dropped him off at the entrance to Meadows marina before returning to the island to cut the grass there for the last time. I’ll miss my visit to the island every two or three weeks during the warmer months of the year. When I first set foot on the island three years ago, it was completely covered by four feet high thistles. I spent two days wading through them with a strimmer, then two more grinding away dense mounds of course grasses with the strimmer’s circular saw attachment. Over the last three years of regular mowing, the thistles and weeds have died off leaving half an acre of short grass under the island’s mix of one hundred white poplar, alder, willow, field maple and horse chestnut. The island has become a sanctuary for the marina’s coots, moorhens, mallards, swans, the occasional unwelcome flock of Canada geese and three recent and very welcome new guests. About a year ago we were first visited by a solitary grey heron. He or she, I don’t know which, often stood motionless on one of the marina’s grassy peninsulas before silently floating into the air whenever someone approached. Now the bird has discovered that it’s safe on the island. There’s a three feet high six inch diameter wooden post protruding from the water near the jetty. The fish eating heron likes to stand motionless on the post now and stare intently into the murky water searching for something to eat. The other two very recent additions to the island menagerie are a pair of beautiful kingfishers. I’ve only seen a kingfisher once here at the marina in the five years I’ve been working here. I was making a coffee on a calm summer’s day when one dropped onto a bull rush three feet from my galley window. I desperately wanted to move to fetch my camera but I knew the movement would frighten the bird. I stood motionless for five minutes until the bird took flight and disappeared forever. Now there are two of them, and they appear to be here to stay. They’ve been seen flying to and from the island over the last few weeks. I hope they make it their home. I’ve probably also spent my last day on the site’s ride on Husqvarna mower. The grass is still growing but as autumn advances the ground is getting wetter and wetter. It’s soon be too soft to mow and maybe, just maybe, I’ll have left the marina before the spring’s first cut. Monday was a good day for me but a difficult day for the engineering department. Jim who deals with general engine repairs here drove himself to Warwick hospital to have some tests done. He was experiencing an increasing numbness in his left arm and weakness in his left hand so that he could no longer grip the tools he needed to do his job. He hasn’t been seen for the rest of the week. We think that he is still in hospital. On Wednesday we had some smart new oak posts delivered. The site has acres of landscaping. There are large areas of tree studded mown grass next to the access roads throughout the site. Many of them are single track so, as is often the case, if a vehicle is coming towards you, you have to find a convenient passing place, of which there are many, then wait for a couple of seconds until the road is clear. Alternatively, because you don’t have a couple of seconds to wait to get from your boat to the chandlery, and because you have a flashy four wheel drive vehicle which you don’t use nearly enough over rough terrain, you can drive your big fat knobbly tires all over our carefully cut and currently rather soft grass. The new posts are an attempt to discourage the practice. They are fitted with reflectors for nighttime drivers. I spent a very pleasant half hour fitting two dozen reflectors to the dozen posts then another half hour hammering guide holes for the fixing spikes on the bottom of the post with a mooring stake and lump hammer. I then spent another half an hour removing all the posts I had fitted, spacing them equally and actually standing them up straight. Thursday was a great day for me, but not such a good day for another of our engineers, Dave. Shortly after arrived for work at 9am, he complained of severe chest pains. Mindful of issues he’s had with his heart before, an ambulance was called. The first responder arrived, followed shortly after by an ambulance. None of the paramedics were happy with his condition or the length of time the ambulance would take to get him to the hospital, so the air ambulance was called in. The helicopter landed on the meadow close to our reception, quickly loaded Dave on board and whisked him off to hospital. Dave phoned in later in the day to let us know that he was OK and that he will probably need to have an operation to improve his condition. So, we’re now down to just one engineer until the other two are fit for duty which, in Dave’s case won’t be for a month. I know the remaining engineer enjoys a challenge though so he’ll be planning to get up before he goes to bed and working a twenty five hour day to make sure he gets all the work done. Thursday was a great day for me because I managed to combine two of my great passions; playing with boy’s toys and breaking things. Over the last five years I’ve been here, a wonderful marina with some slightly shabby areas has improved tremendously. Some rather down at heel Portakabins dotted around the site have provided important but rather untidy dry storage solutions. We removed several of the dilapidated buildings close to reception and replaced them with a much smarter chandlery store. A few months later as part of the project to compact our tip area and create a new half acre space for container storage for moorers, we removed a barely standing Portakabin next to the tip access road. Removing the buildings is a pretty straight forward process. Pat and I take the windows out first. Actually, it’s usually Pat who does it because he has a gentler touch than me. Then we remove any partitioning or fitted furniture from inside the building. I like this bit because I can go wild with a 10lb sledge hammer. I like the next bit even better. I use the site’s “three sixty” excavator to smash the building to bits. The next part I’m not so keen on. The demolished building then has to be loaded onto our site Nissan pickup and transported to our tip area ready for burning. There were two Portakabins to remove. Both were between our shower block and the slipway. We removed one of them completely on Thursday and started on the second. Pat finished clearing the second on on Friday when I was off and Saturday when I worked on the wharf all day preparing and then doing instructions for the hire fleet. Yesterday was a busy day on the wharf. It was the start of the last week before the boat hire operation closes for the season half term for the schools. Most of our boats were scheduled to go out so we spent a morning of furious activity to get them ready and then a very pleasant afternoon showing happy hirers how to steer their holiday homes. During the busy week I also had to find time to work on this site. I’m considering creating a new section. Actually, I’m considering starting two but I’ll tell you about the second and far more serious section in a minute. The first section will focus on my stupidity and lack of thought when buying stuff for the boat. I’ve considered calling it Paul’s Pointless Purchases. I like gadgets and I always fall for the sales blurb. I’m a little absent minded so I don’t always think things through properly if I have my mind on other things like, for example, how on Earth I’m going to actually fit a day’s work in and finish off the weekly newsletter. Here are a couple of examples for you. When I’m working at my laptop I’m easily distracted. Once I’m distracted, I need to take a minute or two to get back “into the zone” before I can carry on working. A couple of years ago I was driven to the verge of insanity by two flies which buzzed about my head as I tried to work. Just to add insult to injury, each of them would take turns to land on my screen to read what I was writing, or to wonder why I wasn’t writing anything at all. I did a quick search on Amazon and found a neat solution to my problem. It was an electronic fly swat about the same size as a tennis racket and with an electric current passing through the racket’s “strings”. All I needed to do to kill the flies was to swat them with the strings to electrocute them. Have you ever tried waving a tennis racket around inside a narrowboat? Of course you haven’t. You have more sense. There isn’t enough room to swing anything around, especially a tennis racket. I tried the racket on a number or different flying insects without success. The only one I managed to swipe was a particularly large and slow moving wasp. There was a load crack as it touched the wires, a joyful cry from me as the wasp fell to the floor, a very angry buzzing as the stunned wasp launched itself from the lino in my direction, and a clatter as I dropped the swatter and ran for the door, pushing Sally out of the way as I left. Apart from stupidly testing the current with my finger after it failed to to kill the wasp (it hurt! ), I haven’t used the racket since. It was a complete waste of money. Then there was the fancy shower head. Seven months after buying a ridiculously expensive bespoke narrowboat shower door, I had it fitted. The shower door and its new frame blocked nearly all the light coming from the central bathroom ceiling light. The guy who fitted the door advised me to have another light fitted inside the shower cubicle but I knew better. I had a cunning plan. 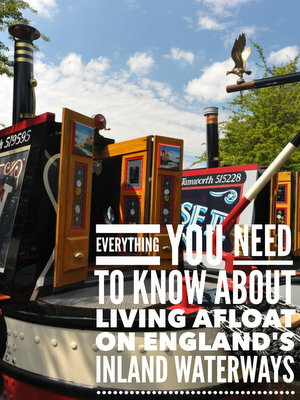 I’m an avid reader of the Boats & Pieces section in the Waterways World magazine. I like gadgets. I like boats. I love gadgets for boats. One of the new products in the November issue was an LED shower head. The water powers the lights and the lights change colour according to the temperature. Brilliant. I ordered one. I took the old shower head off and replaced it with the new high tech replacement as soon as it arrived then stripped off and climbed into the shower to try it out. It was only then that I realised that there were a couple of problems with the new shower head. The lights need a reasonable flow of water if they are to work at all. My water pressure is only sometimes able to power the lights so it’s a hit and miss affair to get them to work at all. And because some of the water pressure is required to power the lights, the force of the water coming out of the shower head is reduced, in my case to not much more than a dribble. But the real problem with my ingenious solution was something I should have considered before I ordered the useless piece of equipment. I usually shower with my eyes closed. If I shower with my eyes closed, I can’t see the lights anyway. I keep my eyes closed to keep the soap out of my eyes. I don’t need additional light in the shower cubicle. I’ve wasted my money again. I’ll never learn. My Dad was and is a wonderful father. He drilled many important principles into me. One of them was that you don’t let people down, ever. If you say you’re going to be somewhere at a particular time you make absolutely sure that you’re there, preferably early, but never late. Early is on time and on time is late. If you say you’re going to do something, you make absolutely sure you do it. You don’t need words on a piece of paper to make you do it, you just keep your promise. It’s a simple principle but it’s one which so many people you meet fail to grasp. This principle appears to elude many waterways tradesmen in particular. Take the joiner who’s been doing some work for me over the last lifetime and a half. I’ll call him Darren, because that’s his name. Actually I’ll call him Darren Aldridge because that’s his full name, and he lives in Tamworth. Before I begin to question his work ethic, let me tell you that Darren is a first class joiner. He’s now rebuilt my engine room and soundproofed the engine. He’s done a first class job. The engine is now boxed in and the sound from a rather noisy Mercedes engine is very much muted. So quiet in fact, that I can hold a conversation with guests as I’m steering and with other boaters as they pass when previously I haven’t had a clue what any of them have said so I’ve just nodded and smiled and hoped that I’ve given the appropriate response. So the finished job in the engine room was very good indeed but the way the whole job was done, which included work apart from the engine room, was frustratingly slow, exceptionally badly organised and, to date, incomplete. The work was due to start at the beginning of September. Following a series of last minute emails it was delayed by a week, then a fortnight, then a month. We then appeared to have an agreed start date and start time. I was expecting Darren with me at 10am. He finally arrived at 2.30pm without a word of apology or an indication that there was anything wrong with being four and a half hours late. Having a tradesman turn up late when I’m on a static mooring at a marina where I work may not appear much of an issue, but it is when Sally is working nights, something which she is doing all of the time at the moment. She needs to get some sleep so we need to know when anyone is turning up at the boat so she can determine where in the small living space she can sleep with the least interruption. So Darren turned up at 2.30pm. He was very late, but at least he had started. As he had driven an hour from Tamworth to get to me, I assumed that he would work into the evening to make the travel worth his while. I was quite surprised then to see him driving off site an hour and a half later. Apparently he had only come to “measure up”, something he could have done on his previous visit when I agreed to his price. The pattern continued over the next two weeks. His longest working “day” with me was four and a half hours. He was rarely on time and frequently more than an hour later than the time he had promised the day before. I could have put up with the nonsensical two hours travel to do two hours work if he had actually finished all of the work he promised he would do, the work he clearly detailed in the quote he sent me. The engine room was completed but he still had to build and fit some bespoke racking inside the boat. And there was an additional job he quoted for to refit and secure my rear hatch. I asked him to quote for the work to the hatch after I had seen the quality of his work in the engine room. The price was high but the work needed doing so I accepted it. We agreed that he would return Thursday or Friday of this week to fit the racks and to start on the hatch. He measured up for the racks and the hatch, said he had the materials ready in his workshop then left to do the joinery there. At the beginning of the job we had agreed on the payment schedule. I would pay him a deposit so that he could buy materials and then pay the balance when all of the work was finished. As soon as he finished the engine room fitting work though, he asked me to pay him for that part of the job because cash flow was tight. He didn’t turn up on Thursday so I emailed him to ask when he would be here. He replied an hour later telling me that he had decided that I was too far away and anyway he didn’t want to do the work because of the weather’s unpredictability. I suppose it’s really not a big deal. He’s only been paid for work which he’s completed and the quality of the work he’s finished is very good. But he hasn’t finished all of the work he promised to do and his communication and time keeping throughout the process was diabolical. Sadly, his approach to work on the waterways isn’t unique. At least the quality of his work is good which is more than I can say for some of the tradesmen who have worked on James over the last four years. I’ve had fifteen stone guys standing on fragile engine fittings, a frame welded in place around the engine which can’t be removed to access the stern gear, an incorrectly fitted alternator which meant that I had to run the engine for three hours instead of the one hour which was needed once the mistake was rectified, shoddy joinery and wonky shelves, dangerous wiring and a few other things I’m sure I’ve forgotten. I’ve also heard tales from other boat owners up and down the cut. Some of them are quite frightening. One boat owner recently told me about a scary situation she had when her engine failed on a river. From a precarious mooring tied to a tree she contacted a marine breakdown organisation whose attitude to a family in peril was disgusting. To a much lesser degree, my own experience with the same company has been similar. Of course there are many excellent tradesmen providing much needed services to over thirty thousand narrowboat owners on the canal network but they appear to be few and far between. I had one of them, two of them actually, doing some work for me this week. Dave Reynolds is a highly qualified marine electrician. He works with his wife Alex. They make a great team. They’re always happy in their work, are exceptionally competent and their communication is first class. I needed some rewiring doing inside the boat. We’ve had the work loosely pencilled in for the last two or three weeks. It wasn’t urgent so either Dave or I rearranged the work a few times but always as a result of clear and mutually satisfactory communication. He came to do the work on Wednesday and agreed on a time of day which would disrupt Sally’s day time sleeping least. Of course with an old boat, especially with the wiring, nothing is ever straight forward. He discovered that the wiring he unearthed didn’t comply with the Boat Safety Scheme guidelines, spoke briefly with a surveyor to determine a solution, then quickly finished the work. After he left I noticed that some of the lights at the front of the boat had stopped working. The first think I checked was the fuses. The fuse board had been rewired by Dave a month earlier and then labelled clearly so that even someone as technically inept as me could understand it. I replace the appropriate fuse, or so I thought, but the lights still didn’t work. I left a note for Dave about the problem. First thing the next morning he contacted me to ask when he could come and which time would be best for Sally. He arrived, as expected, at the agreed time and spent two or three minutes rectifying the problem. It was a clearly labelled fuse which had blown. My fault. I don’t seem to be able to understand the difference between the labels cabin roof lights and cabin wall lights. Dave was too diplomatic to mention this though. Dave costs a fortune. as do all qualified marine electricians. His rate is £37 an hour but it is a rate which I am prepared to pay because I know that the work he does will be of the highest standard, and is something which I couldn’t hope to achieve myself in a million years. Another outstanding tradesman is Tim Davis from Onboard Solar. He installed my solar panels in April last year and did a first class job. As with Dave Reynolds, his communication was first class throughout the process. Actually, there was very little communication. He gave me a price for the 3 x 100w panels and MPPT controller via email (£995) and agreed a time and a date to do the work. He turned up exactly on time, was both friendly and highly professional, installed the system to a high standard after discussing the panels’ exact location with me, and left me after just three hours with solar panels which have worked perfectly ever since. Unsurprisingly considering the quality product and first class service, Tim has now installed solar panels for more than five hundred boat owners. Reliable, professional and highly skilled waterways tradesman are out there, but how do you find them? You can scour the classified sections of the waterways magazines and newspapers but anyone can part with some cash to advertise their services to the boat owning public. An advert in a publication isn’t and indication of ability or attitude. Quite the reverse in fact. Many of the better tradesmen don’t advertise at all. They receive so many enthusiastic recommendations from satisfied customers that word of mouth referrals is all they need to keep them busy all year round. My latest disappointing experience was the straw which broke the camel’s back. I’m sure that I’m not the only one who struggles to find honest, reliable and competent tradesmen. I’m going to take the bull by the horns and create a directory of first class tradesmen, but I can’t do it without your help. This site’s regular readership now includes hundreds of boat owners, many of them living afloat full time. If you are one of them, you have undoubtedly had your fair share of experiences with both good and bad tradesmen who are either sole traders or staff at marinas and boat yards. You might even be one of the elusive tradesmen I’m looking for. The directory creation is going to take me a while to put together. The first stage is to try and identify which of the thousands of regular site visitors are boat owners. To help me find out I added a link to the newsletter introductory email. You should have been directed to this newsletter as a result of completing the one click questionnaire. If you told me that you’re already a boat owner, I’ll be writing to you shortly. If you reached the newsletter via another route and you’re a boat owner who would like to contribute, please let me know. If you are a boat owner or a tradesman who offers a good service, I urge you to help me get this off the ground. I’m prepared to dedicate much of my free time to the project, especially when I don’t have to find another forty five hours a week to earn a living from April next year. All I’ll need from you is the names and contact numbers of tradesmen you recommend and a little about what they’ve done for you and why you think they’re worth recommending. I’ll update you on progress next week but please don’t leave all the contributions to other boaters. This site is a comprehensive resource for aspiring and current boat owners alike, but it can be improved. How much is up to you.